Attractive blue legal border on blue, white or canary Linen Manuscript. Unique double-score fold conceals staples. The 8 1/2" width fits printer trays. 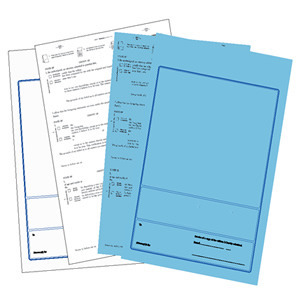 Size 8 1/2" x 12 1/2"
Click here for Blumberg federal litigation covers 2903 imprinted with firm contact information. Available in dark blue (DB), white (WH) or canary (CA).